German start-up Lilium has secured $90 million in funding to build a five-seat, all-electric flying taxi. The funding will be used to develop the company’s five-seat commercial Lilium Jet, as well as to grow the company’s team of more than 70 people. As envisioned, a fully charged Lilium Jet would be able to stay aloft for about an hour and travel at speeds in excess of 180 mph. It will also have an on-demand feature where users can order the air taxi to a nearby landing pad. This round of financing brings Lilium’s investment funds to a total of more than $100 million, after the start-up received a $10 million seed investment last year. The investors in the latest funding round are Tencent, Skype co-founder Niklas Zennström’s Atomico, Twitter co-founder Ev Williams’ Obvious Ventures, and private banking group LGT. 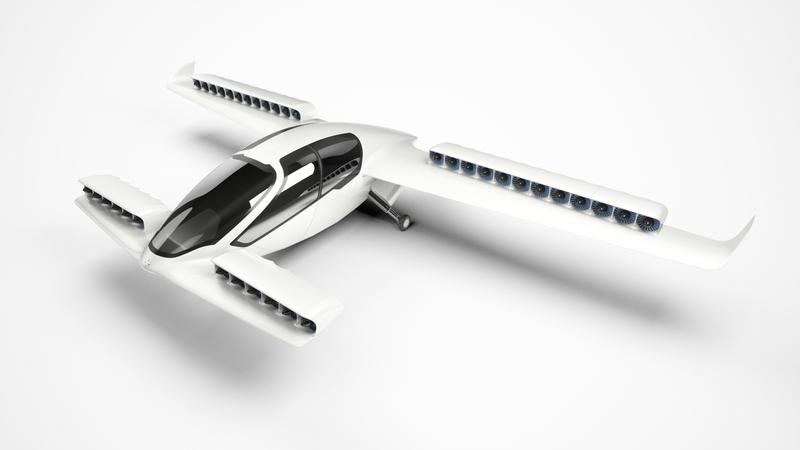 “This is the next stage in our rapid evolution from an idea to the production of a commercially successful aircraft that will revolutionize the way we travel in and around the world’s cities,” said Daniel Wiegand, CEO and co-founder of Lilium in a statement. While it looks like pilotless flight will be a part of our future, a previous study by Swiss bank UBS found more than half of the people they surveyed were unwilling to travel in a pilotless plane even if it costs less. Still, the venture looks promising. In April, Lilium announced a world-first test flight of its all electric, two-seater, vertical take-off and landing (VTOL) prototype. Lilium expects the first functional crewed jet to take off in 2019, and the on-demand feature to go live in 2025.